Hard disk drives are data storage that were originally used exclusively in computers. On them the operating system and application software is installed. Furthermore, data is stored on hard disks such as Word and Excel documents, audio, image and video files, Scores, websites and much more. Increasingly hard disk drives are also used in consumer electronics devices, such as in hard disk recorders and keyboards. 3.5in. 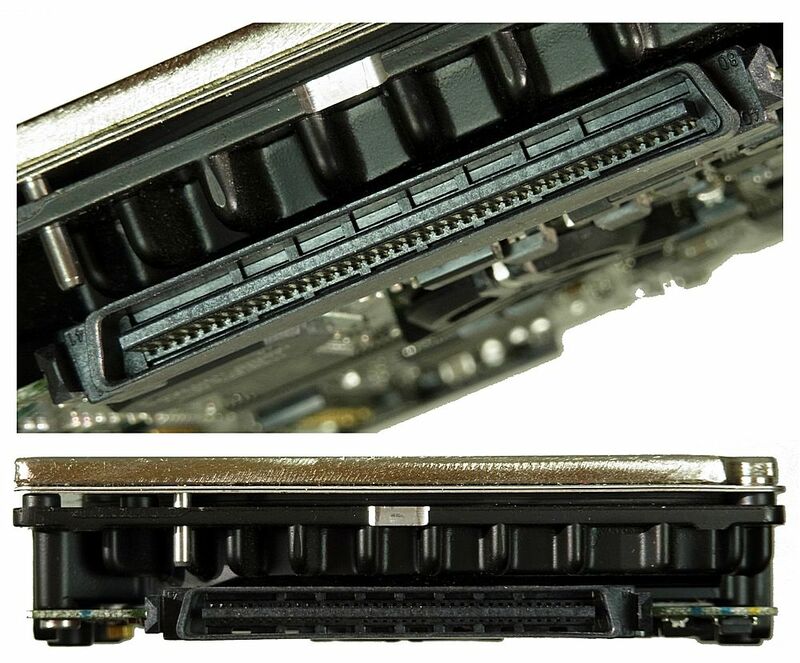 hdd for desktop computers have a width of 4in. But usual it will be described as 3.5in. hdd's. The usual height is 1in., but you find eventually hdd with double height, too. 3.5in hdd's are used in standard computers, servers and backup systems. 2.5in. laptop hdd's have a size of 70x100 mm. Usual heights are 5 mm, 7 mm and 9,5 mm. Possible heights are also 5 mm, 12,7 mm (1/2in.) and 15 mm. For harddisks over 1TB is one interface more in use: SAS. SCSI disks were very expensive and thatswhy mostly used only in professional and server systems.